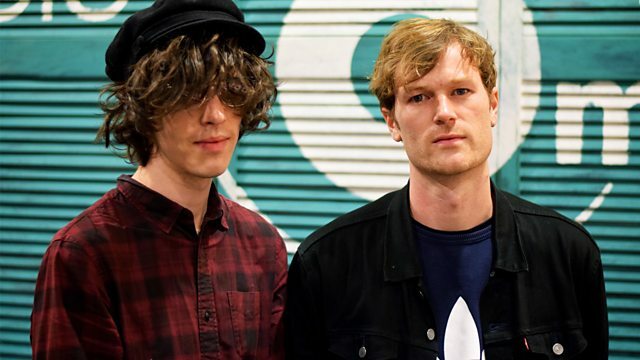 Stoke Newington's Gengahr join Stuart to chat about their latest album Where Wildness Grows. Stoke Newington's Gengahr join Stuart to chat about their latest album Where Wildness Grows. Originally called RES, they had to change their name due to another group being already called that. They settled on Gengahr, an alteration of Gengar, the name of a Shadow Pokemon from the original games. They'll be popping by the studio mid-UK tour. Kick back to Tea Time Theme Time, three songs picked by a listener, can you guess what links them? And The Chain, which is now clocking in at over 6,000 tunes, continues. Suggest a song that should be next, but remember no repeats.